Arma II mod Dayz will be a standalone game! The hugely popular DayZ mod recently reached 1 million users, and those currently playing the mod and those interested in it have good news to look forward to: the mod will developed into a standalone title. This means more time and money will be invested into making a better Zombie experience for fans. Ever since it's release, DayZ has resurrected Arma II sales since the mod runs on the Arma engine and requires both Arma II and its expansion pack. 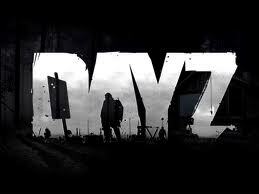 The creator of the mod, Dean Hall, will be the game's project lead for Bohemia Interactive. If you're still playing the mod, don't worry: "Development and updates of the mod will continue in parallel with the development of the game, so anyone who is playing the mod now will be able to continue to do so. The project will follow the Minecraft development model; fast iterations with the community alpha available for a heavily discounted price." So as you await the full release, you can continue playing as is.